Apple said on Tuesday it had reached an agreement with French authorities to settle 10 years of back taxes, becoming the latest US company to reach a deal with France which has led a European push for higher taxes on tech giants. 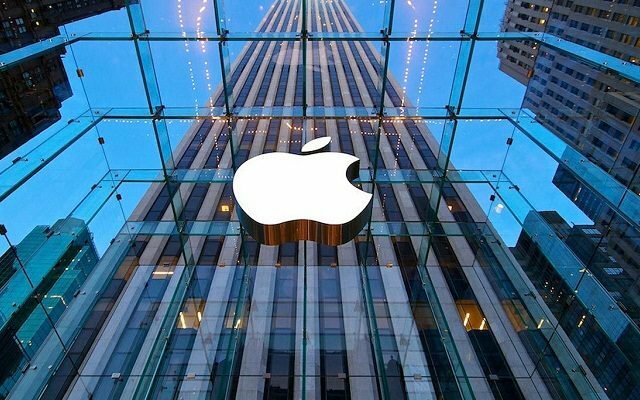 French news weekly reported that Apple had paid nearly 500 million euros ($570 million) to resolve the case in a confidential settlement reached in December. Apple declined to disclose the amount paid, but a source familiar with the case confirmed the figure to AFP. “The French tax administration recently concluded a multi-year audit on the company’s French accounts and an adjustment will be published in our public accounts,” Apple said in a statement. French authorities declined to comment further, citing the confidentiality of tax matters. Apple is one of several American technology giants in the line of fire in Europe over their tax strategies, which see them route their income through low-tax nations such as Ireland or Luxembourg. In 2016, it was ordered by the European Commission to pay 13 billion euros in back taxes to Ireland. The European Commission said Apple paid an effective corporate tax rate of just 0.005 per cent on its European profits in 2014 — equivalent to just 50 euros for every million. The deal in France comes as the government prepares to push ahead with its own unilateral “GAFA tax” — named after Google, Apple, Facebook and Amazon — faced with the failure of EU members to agree on how to get technology companies to pay more tax on their European operations. The tax, to be put to parliament in a bill later this month, would affect companies with global sales of more than 750 million euros and 25 million euros in France, according to the government. It would be retroactive to January 1 and is expected to raise 500 million euros this year. French Economy Minister Bruno Le Maire has called the question of how and where global companies pay their taxes “a major issue in the 21st century”. But an agreement among EU members has proved elusive. Ireland, Denmark and Sweden have all blocked plans for a levy for fear of dissuading investment and Germany has proved lukewarm on the issue, fearing US retaliation against its car industry. The issue has been referred to the OECD, which aims to come up with an international tax by 2020. Apple is the second major technology company to reach a tax deal with French authorities within the past year, reflecting the growing pressure from voters on governments to bring foreign companies to book. In February 2018, Amazon said it had settled a French claim for nearly 200 million euros and would start declaring all its earnings in the country, ending a dispute that had dragged on for years. In 2017, however, France’s tax collection drive suffered a setback with a local court ruling that Google was not liable to pay 1.1 billion euros in taxes claimed on revenues transferred from France to Ireland. According to L’Express, the deal between France and Apple was clinched after several months of talks, and concerned the small amount of revenue the firm booked in France while the sales it reported in Europe ballooned. The report said Apple’s European revenues exploded seven-fold, from 6.6 billion euros in 2008 to 47.7 billion in 2017, most of which was booked in Ireland where it has its European headquarters.